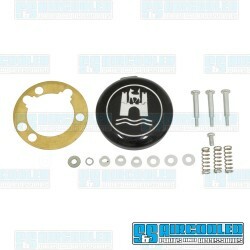 Horn button kit with crest emblem for stock steering wheels. Will also fit the replacement steering .. 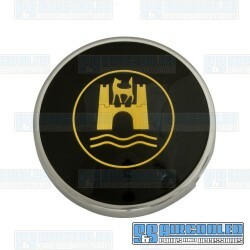 Replacement crest emblem horn button for the "Banjo" Style Vintage Steering Wheel. 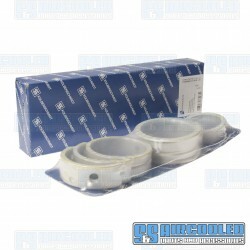 Horn B..
Serpentine Belt System is designed for style and performance. 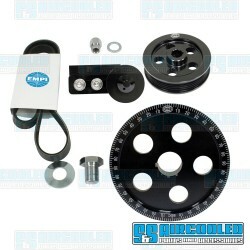 Easy installation and adjustment, quie..
JayCee two-piece billet 7" Street Car Pulley is made of 6061 T-6 aluminum and bolts to a steel hub t.. 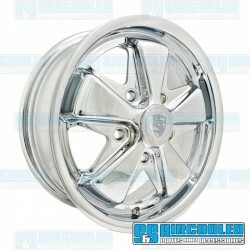 This is a great reproduction of the original Porsche Alloy(Fuchs). With a high quality chrome finish..
Kolbenschmidt main bearings have been around for years and were the bearing of choice for most engin..
MST bolt-on valve covers are Made in the USA and utilizes a 6061-T6 aluminum construction. 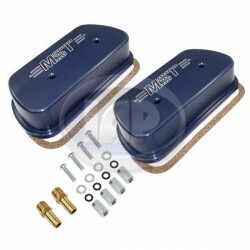 These bil..
One of the best upgrades you can do for your Bug, Ghia or Thing is to convert the old drum brakes .. 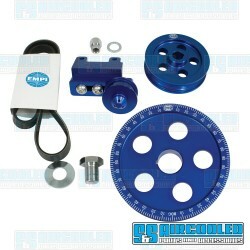 These units provide the needed strength to withstand the abuse of high horsepower engines. They eliminate the stock housing flex problem in addition to providing for an extra pair of spider gears. Units also allow infinite ring gear lash adjustment a..
After years of intensive research, we are now able to offer the FINEST transaxle Super Diffs ever made. Starting with a high quality, nonporous steel alloy casting and then we totally machine it using only the latest CNC state-of-the-art equipment. A..